"Caite Hevner Kemp's elegant, restrained scenic design gives us view of a double bed through French doors in Orwell's hotel suite. Technically, the set piece is unnecessary, but emotionally it's fraught with possibility. 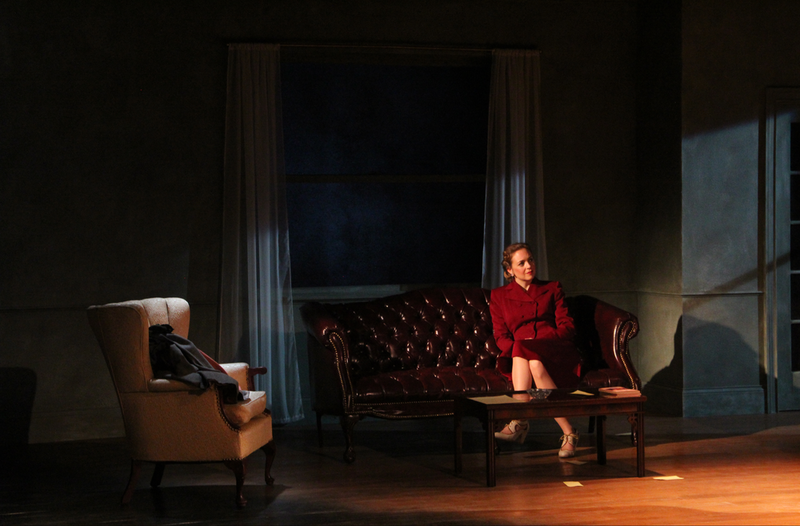 Kemp's use of a curved red couch at center stage also creates possibilities - of a bridge or a divide - which Hackett fully explores with his versatile staging." "Northern Stage's elegant physical production was particularly effective. Caite Hevner Kemp's simple setting combining hotel rooms and lecture halls was beautifully delineated, as were dramatic moments by Stuart Duke's lighting."